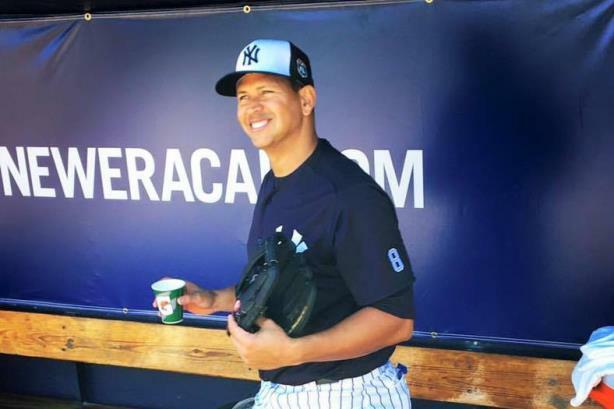 For more than three years, Berk Communications has handled publicity for the former Yankee slugger through a steroid scandal, a comeback, and, just last week, an emotional goodbye. (Image via A-Rod's Facebook page). After a tumultuous career, Alex Rodriguez donned the Yankee pinstripes one last time on Friday night after a goodbye ceremony. Alongside the former shortstop is New York-based PR shop Berk Communications. Its president, Ron Berkowitz, said he and his firm will continue to handle publicity for Rodriguez. Asked if the 14-time all-star might move into the front office or sign with a different team to hit the 700 home run milestone, Berkowitz said he isn’t sure what plans the retiring Yankee has made. However, there are three stories about Rodriguez that Berkowitz said he hopes to share with the public: his business mind, ability to educate others as a Yankee organizational adviser, and his philanthropy. Berkowitz also entertained the idea that Rodriguez could go into sports broadcasting. "Alex has so many facets working at one time," he said. "He really is like a sponge. He’ll be quite busy, and it’ll be our job to frame it and let the media and public know what kind of person he is." In the final four weeks he was on the roster, the Yankees benched the (likely) future hall-of-famer, a stretch he called "painful" and "embarrassing." Towards the end of his run with the team, Rodriguez and the Yankees called a press conference for last Sunday that stirred up media speculation. Berkowitz said Rodriguez penned the statement himself the night before the press conference. "He didn’t have a lot of time to think about that," Berkowitz said. "It was: let’s get out there and do it. We didn’t even have to have a conversation [about letting out his emotion]. We didn’t expect him to do that; I don’t think he expected to do that. He said he was embarrassed by it, even though it’s not embarrassing. It’s what people probably want to see, the raw emotion." Rodriguez brought on Berk to handle PR in 2013, around the time doping accusations began to dog his career and public image. Months later, 60 Minutes aired an expose with the head of Biogenesis, Tony Bosch, who was alleged to be at the center of the doping ring. "I was aware there was something brewing," Berkowitz said. "The first article came out a few months before. I knew this would be part of what we were going to handle and the other part being that Alex was coming off a difficult season." Handling the lion’s share of PR work for Rodriguez, Berkowitz has prioritized ensuring the slugger’s side of the story was presented in the media. "We got our story out there and did what we had to for him," Berkowitz said. "It was a big battle. The public thinks one thing because we live in a society where there’s a lot of media talking about this all day long, all night long. It was on the front page every single day three summers ago." The Biogenesis scandal also brought out the home run hitter’s litigious side. After a 211-game suspension, later reduced to 162, A-Rod’s legal team sued Major League Baseball, then-Commissioner Bud Selig, and the Players Association. Before its appeal, the suspension was the longest non-lifetime ban in history. He eventually backed off the suits. Berkowitz attributed softening attitudes about Rodriguez to his willingness to get back in front of the public and being more sincere and apologetic, such as the hand-written apology he penned to fans, the Yankees, and Major League Baseball in early 2015. "It ushered him back into the game last February," Berkowitz added. "This is America. People like to give each other chances, and he wasn’t going to spoil that new chance. He had a great opportunity to play the game he loves and be a kid again, really, in that sense." Central to Rodriguez’s comeback was his performance: 33 home runs last year. However, the hot streak didn’t last. Rodriguez only hit .200 in his final year, and in the lead-up to his final game, Yankees Manager Joe Girardi was unmoved to give the slugger extended playing time, saying, "My job description does not entail farewell tours." "All we could do was work with the cards we were dealt," Berkowitz said. "Obviously, this is a baseball thing. But 696 [home runs] is not a number to be ashamed of." The manager eventually changed his mind, let Rodriguez play third base at the start of his final inning, and emotionally recalled the farewell in a post-game press conference, saying, "If this is the last time he plays…I wanted it to be something he never forgot." "He’s changed as a person," Berkowitz said. "The suspension changed him and gave him time to reflect. Our advice to him two years ago was: be yourself."